Russell delivered this lecture on March 6, 1927 to the National Secular Society, South. London Branch, at Battersea Town Hall. 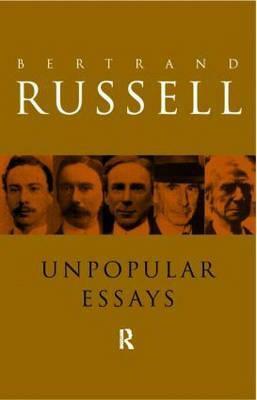 Published in pamphlet form in that same year, the essay subsequently achieved new fame with Paul Edwards' edition of Russell's book,. Why I Am Not a Christian and Other Essays ... (1957). Library of Congress Cataloging-in-Publication Data. Rereading Russell: essays in Bertrand Russell's metaphysics and epistemology / edited by C. Wade Savage and C. Anthony Anderson. p. cm. —(Minnesota studies in the philosophy of science ; v. 12). Includes index. ISBN 0-8166-1649-3. 1. Russell, Bertrand, 1872-1970.